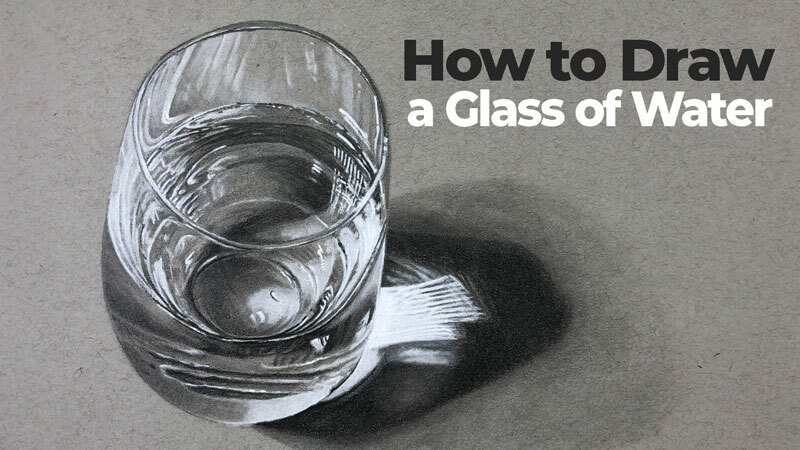 Draw a realistic glass of water with graphite and white charcoal. You CAN draw. This is how it's done. Do You Need Blending Stumps? Create a quick sketch of a skull in just 30 minutes. An introduction to "Pencil Drawing - The Guide to Graphite". Learn and explore the different grades of graphite pencils. Learn how to draw a realistic feather. Learn how to create accurate shading in a drawing. Learn how to draw realistic water droplets. Learn how to draw basic forms. Explore the different erasers used for erasing graphite. An introduction to "25 Days to Better Drawings" and a look at the materials that will be used throughout the course. Learn how loosening up can lead to greater accuracy in your drawings. Tackle the challenging shapes of circles and ellipses in this lesson's drawing exercises. In this module, we're introduced to the element of art, value. Learn its importance to drawing, proper terminology, and blending techniques. In this module, we'll learn how to use value to create the illusion of light and form in a drawing. Blind contour line drawing exercise. Several common graphite drawing techniques. 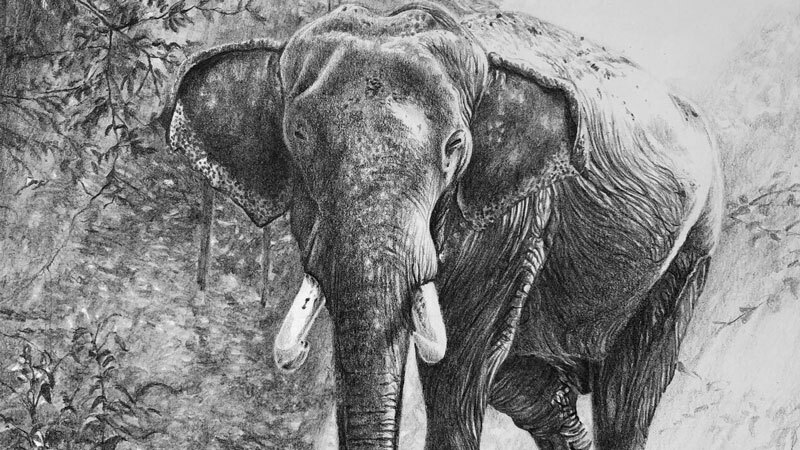 Learn the secrets to creating convincing textures in your drawings. Learn how to draw realistic eyes. Learn how to draw a face with correct proportions. A look at drawing the structure of what lies beneath the face and head - the skull (frontal view). A continued look at drawing the skull from a profile view. Learn how to draw a realistic mouth with graphite pencil. Learn how to draw a representational nose and mouth. Learn how to draw a hand with basic shapes. Learn how to draw realistic ears with pencil. Learn how to draw a representational ear. A complete guide to drawing noses. Learn how to draw the figure in perspective. The steps to drawing a portrait with graphite. Learn how to draw with Graphitint pencils in this lesson. Learn how to draw feet in this ultimate guide. Draw a soccer player in just 30 minutes. The ultimate guide to drawing trees. Draw a crab in just 30 minutes. Draw a bird in just 30 minutes. Draw a frog in just 30 minutes. See all of steps of drawing a dog with pencil. "HB" is most commonly called a #2 pencil and is found in the middle of the grades. Softer graphite pencils are named "B" pencils and range from "B" (soft) to "9B" (extremely soft). "B" pencils generally make darker marks because of the softness of the graphite. One downside to "B" pencils are that they become dull easily. "H" pencils are made of harder graphite and range from "H" (hard) to "9H" (hardest). "H" pencils make lighter marks but keep a sharp point for a longer period of time. Graphite also comes in large chunks that are not in pencils. This graphite is used for covering large areas of a surface quickly.